The book was published at the end of last week, and the eBook version is available to purchase and download immediately. The printed version of the book are also available to order, see the site for delivery details. Purchase links are now available for Amazon.com, Amazon.co.uk, Barnes & Noble, Safari and O’Reilly. 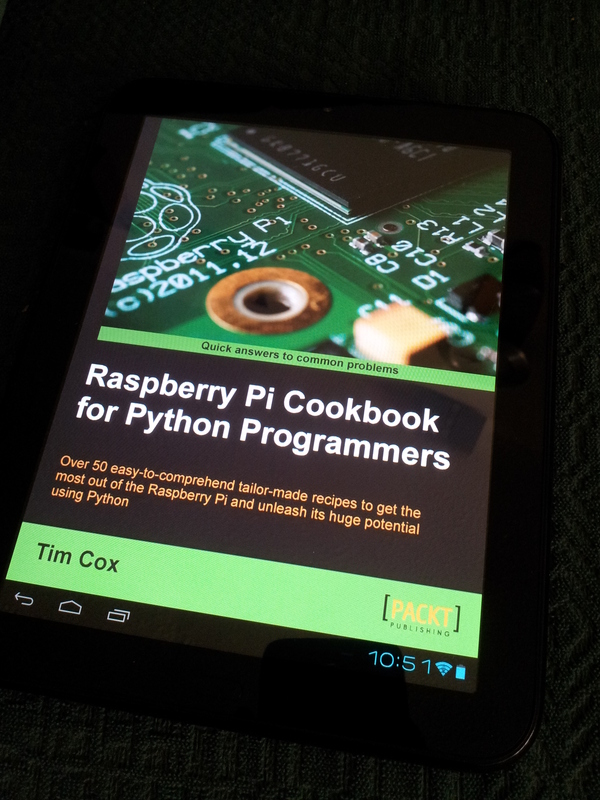 The PDF looks great on my Android tablet. I’ve added a new page TAB at the top of this site for the book. I will add additional information about the book, a sample chapter, provide additional examples and tips, as well as include any support or information on hardware used. If you have any queries, questions or comments on the book, then please do get in contact, I will be more than happy to help where I can. If you enjoy the book, then be sure to let everyone know! I bought a copy and will let you know what I think of it. Excellent. Thanks for your support, here’s hoping you enjoy it! It is DONE! The book is complete. Introducing my new hardware kit!